The 2014 Battle of Bannockburn had a different outcome to the historical one of fighting in 1314. 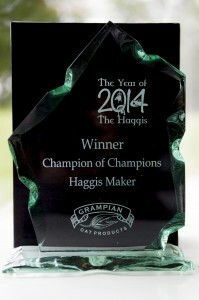 The modern day “battle” was a friendly contest in which ten holders of the prestigious “Haggis Maker of the Year” gathered for the decision as to who would be the Champion of Champions 2014. 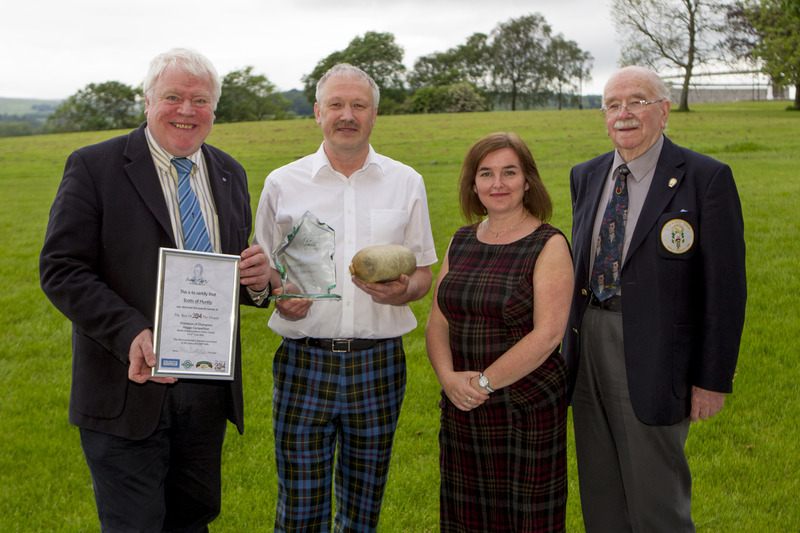 These Butchers each presented a Haggis for judging and the judges were Ian Faulds, President of the Scottish Federation of Meat Traders, Louise Harley, PR consultant with Grampian Oats and Murdo Morrison an Honorary President of the Robert Burns World Federation. As all entrants had previously won a distinctive award for their Haggis there was a very close contest for this new title. 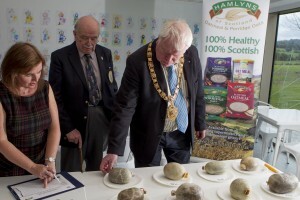 The overall winner of the Champion of Champions was George Fullarton, from Scotts of Huntly, Aberdeenshire, who carried home the Grampian Oats crystal trophy together with a Certificate. 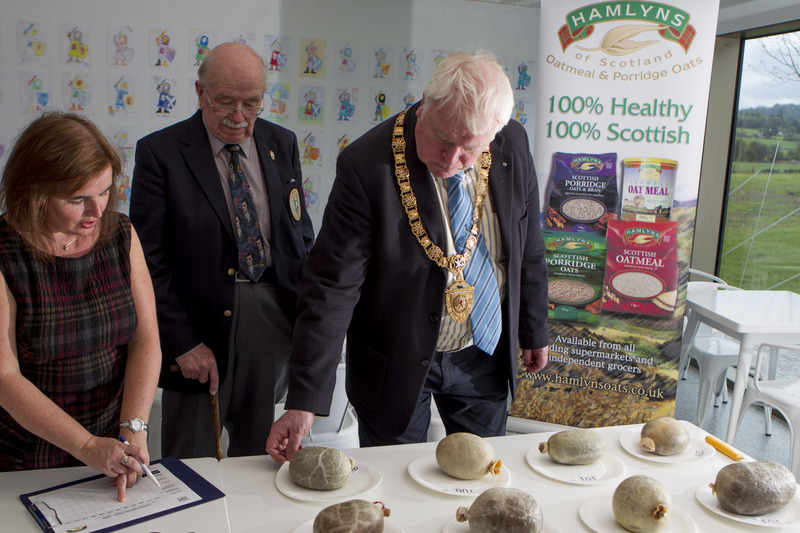 George does not use any machinery in producing his Haggis and he has customers ranging from Shetland to London and many places in between. A true craftsman to his trade. All the finalists were presented with appropriate certificates which will, no doubt get pride of place in their premises in locations all over Scotland. All certificates depicted the logos of the sponsors and were headed up with the Robert Burns World Federation branding.